The Justice Department on Monday filed an emergency stay asking the federal judge in Texas to lift the temporary hold (preliminary injunction) he issued on President Obama’s executive actions. 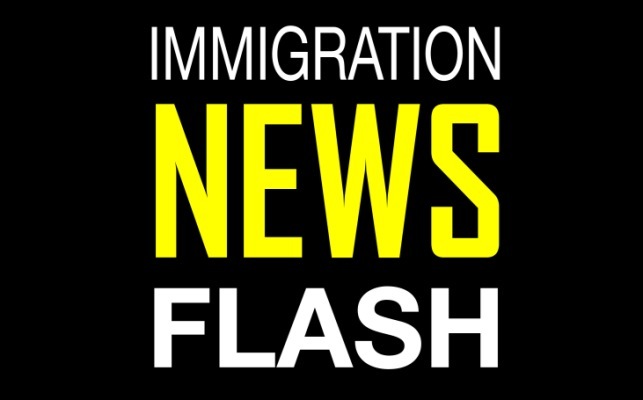 Texas-based Judge Andrew Hanen issued the injunction against two of the President’s initiatives, namely, the expansion of Deferred Action for Childhood Arrivals (DACA) and Deferred Action for Parents of Americans and Lawful Permanent Residents (DAPA). The President’s initiatives offer temporary deportation relief to millions of undocumented immigrants. Judge Hanen will be first to consider the emergency stay, but the Department of Justice said in its filing that it may seek relief from the Fifth Circuit Court of Appeals if the judge does not issue a ruling by Wednesday, February 25. Before the judge’s injunction, the government was planning to accept applications under the expanded requirements for DACA as of February 18. According to the filing, “A stay pending appeal is necessary to ensure that the Department of Homeland Security…is able to most effectively protect national security, public safety, and the integrity of the border.” Alternatively, the government requested a narrower stay of the injunction so that it only suspends the implementation of the new initiatives in Texas. Given the immediacy of harm to the government and the public in the absence of a stay, the Justice Department has requested expedited consideration.